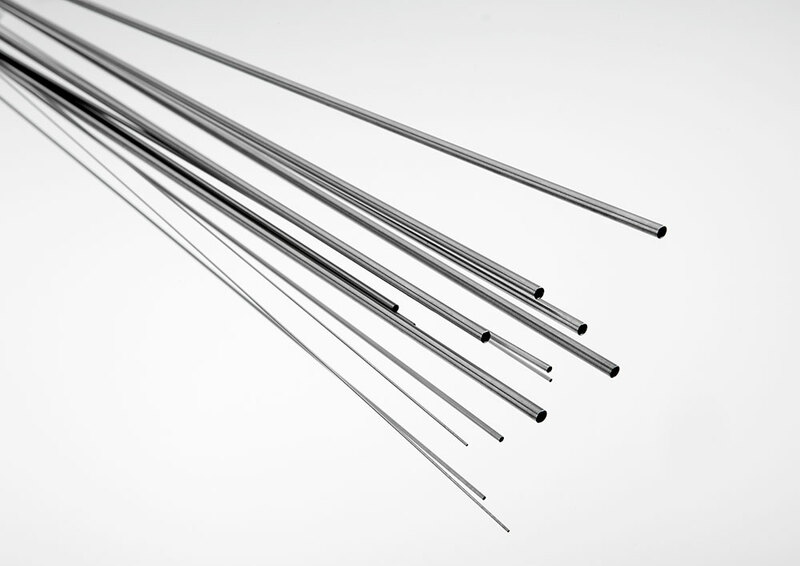 Hypodermic tubing is welded and drawn to tight OD and ID tolerances, and is sold and stocked in gauge sizes. 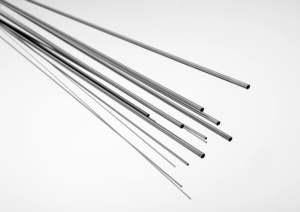 MicroGroup hypodermic tubing is ideal for medical and industrial components applications that require strength, uniformity, and corrosion resistance. Not manufactured for pressure service. Wide selection, economical and quick delivery. For sizes or alloys not listed below, or to place an order, call 800-255-8823. To purchase standard stock tubing please visit our Online Store. The Hypodermic Tubing tables on this page have been revised to address the inconsistency of past “standards” which vary by vendor. MicroGroup has attempted to meet as many of these old varied standards as possible in these new tables. Please verify your older prints. Although every effort has been made to ensure accuracy, no guarantee is granted or implied. Unlike other tubing and pipe sizes, hypodermic tubing is specified by a gauge number that determines OD and ID of the tube, not the wall thickness. Products listed below in blue are available in our Online Store. Please call 800-255-8823 or request a quote for custom orders, products not available in our online store, custom lengths and large quantities.